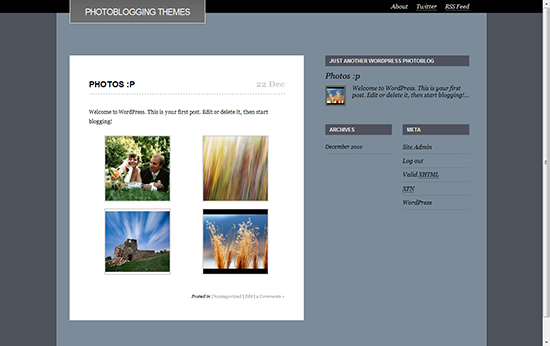 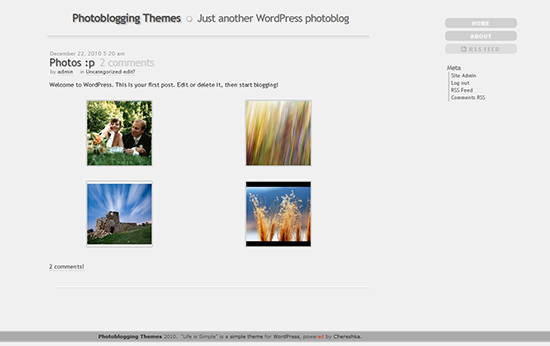 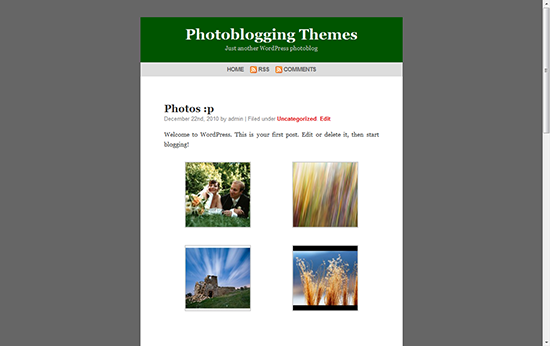 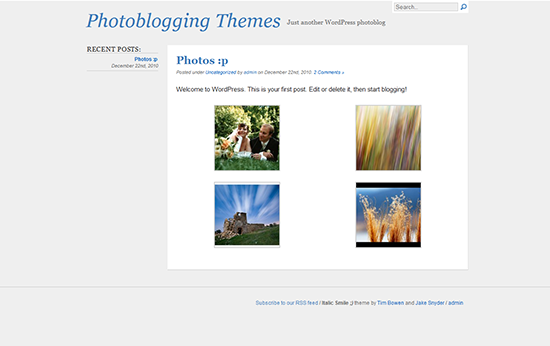 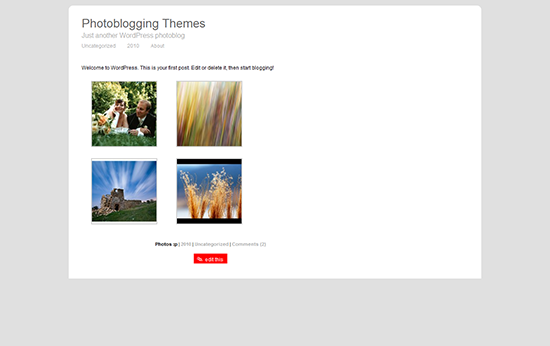 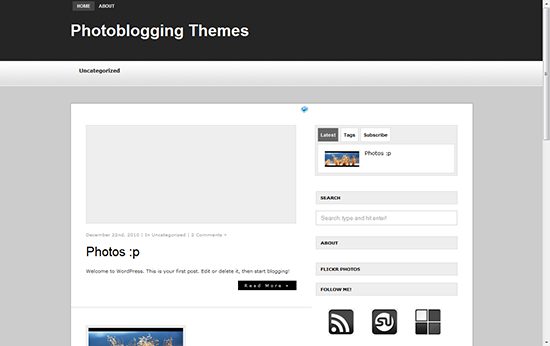 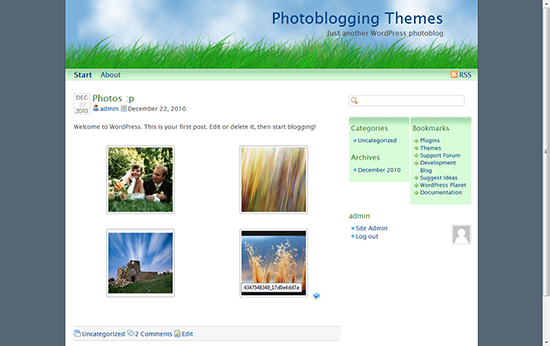 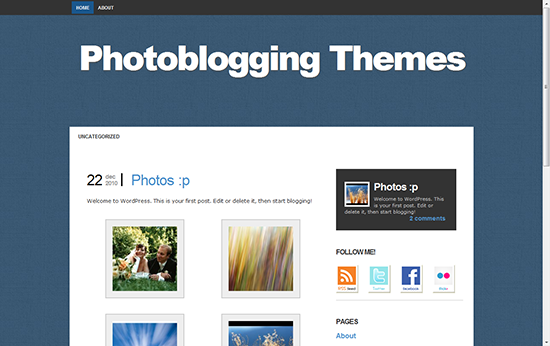 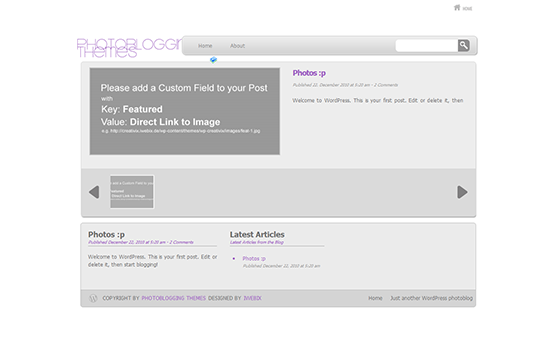 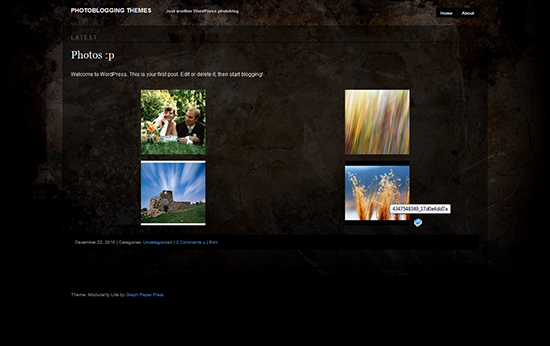 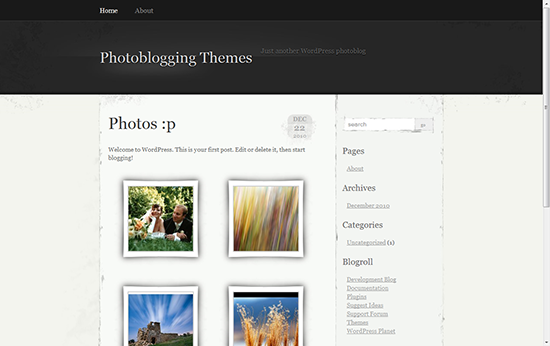 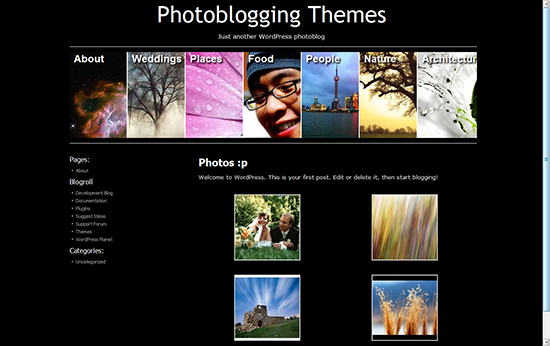 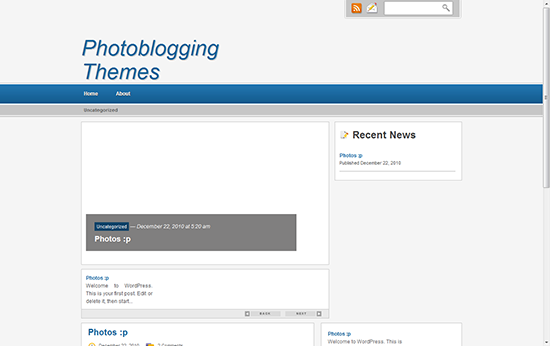 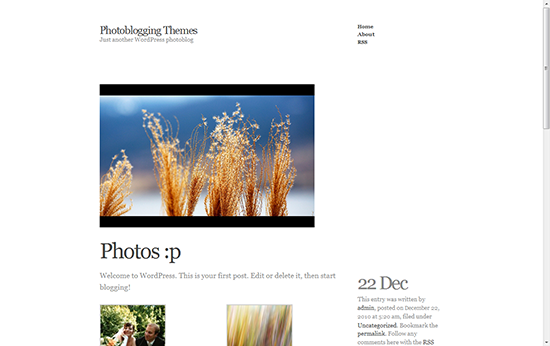 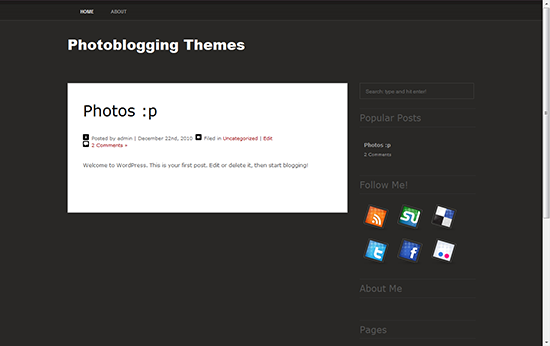 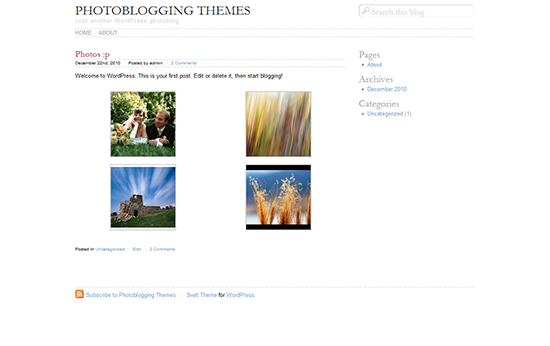 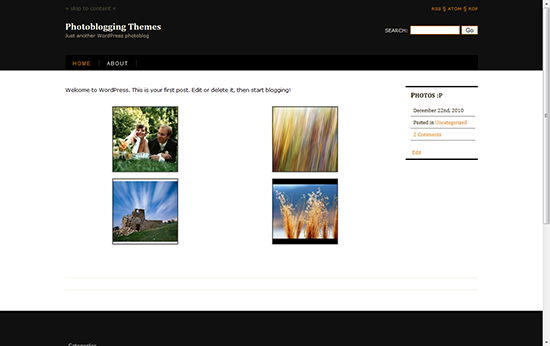 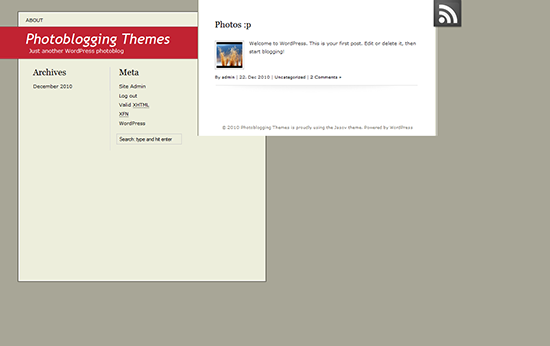 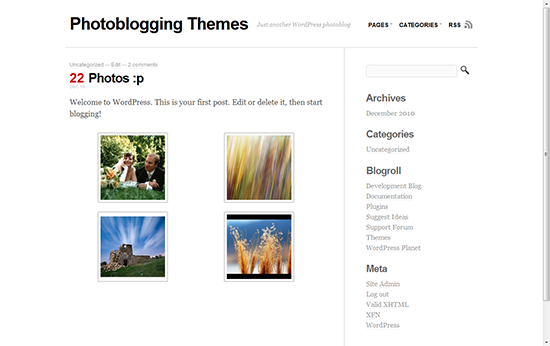 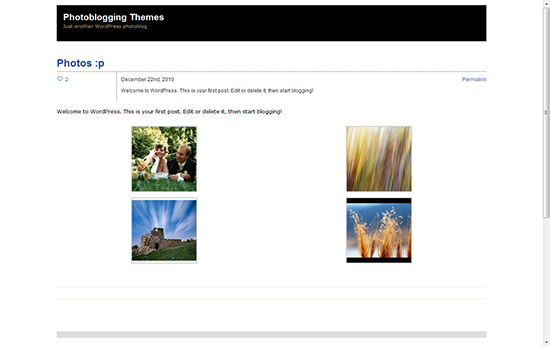 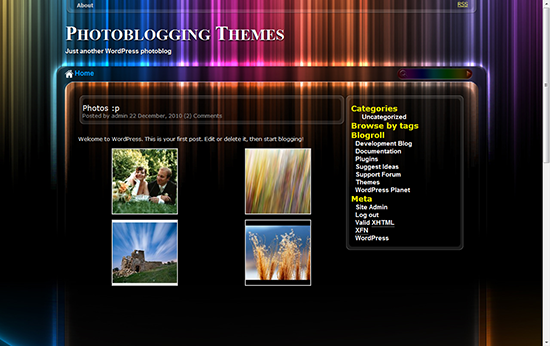 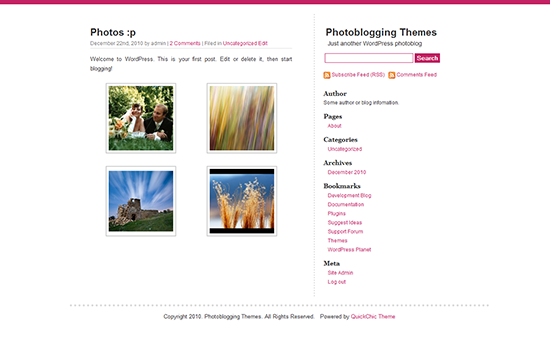 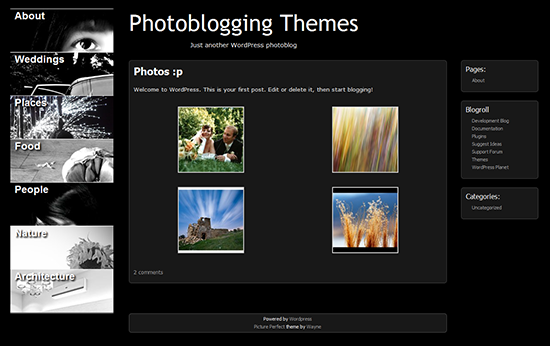 We had the chance to carefully select 30 beautiful photoblogging themes for WordPress. 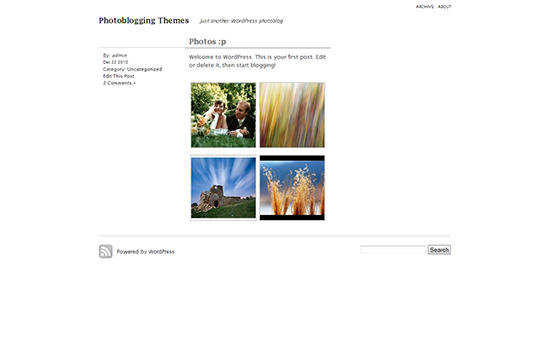 We downloaded them and for the sake of reviewing, similarity and differences, we tried them on a test blog and generated the screenshots. 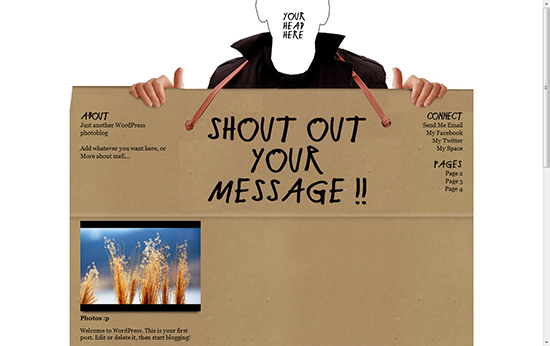 Check out this list and tell us which one you like the best. 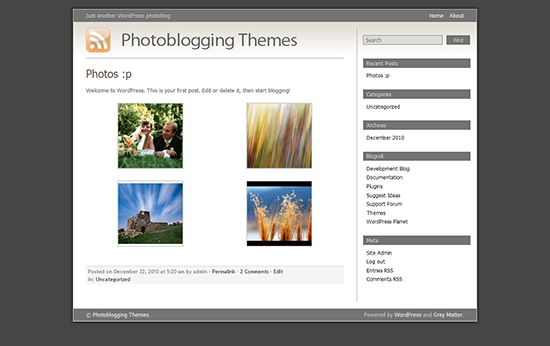 Note that the content used for testing is the same. 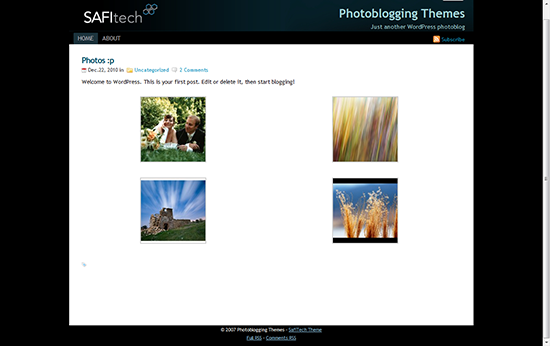 It was difficult to decide between #12 and #16, though #26 was in the running as well. 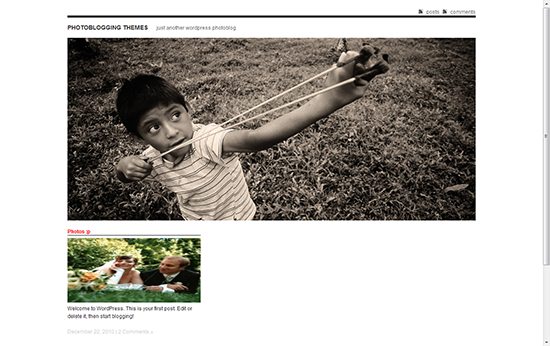 But when I saw and analyzed the compelling nature and drawing power of NO. 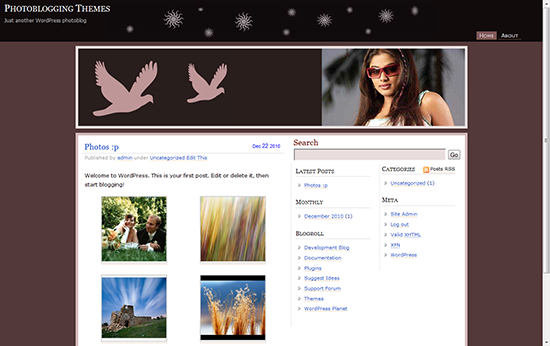 29, no other choice was possible. 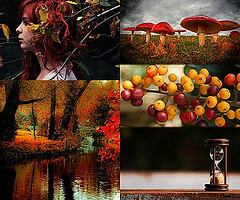 I love it and would stand by it anytime. 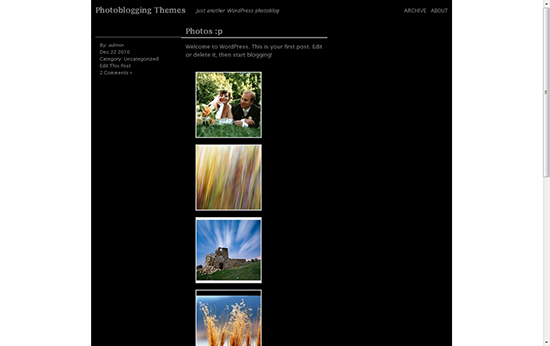 Tony.